Home sales follow very seasonal patterns. Yet much of this natural mechanism was stunted by banks delaying foreclosures and the government artificially stimulating home sales. Now that much of the stimulus has been exhausted, it is clear that home prices are correcting once again. It is hard for many to imagine that home prices can go lower especially after a vicious correction. Yet we have become conditioned to the notion of expensive home values by years of targeted propaganda. 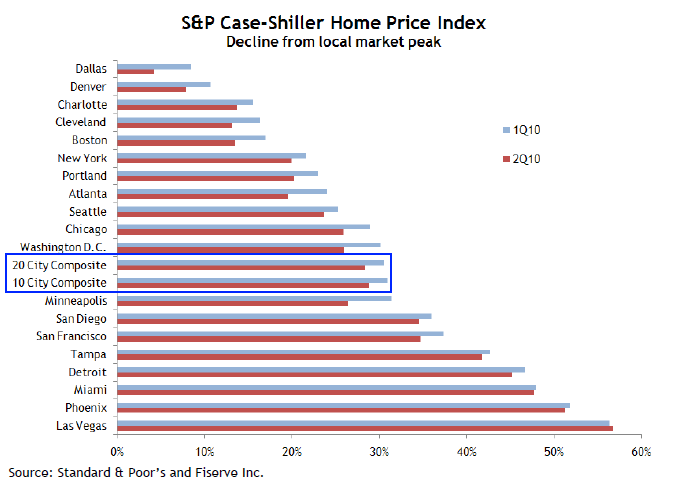 Home prices in many regions like California are still inflated even after significant price corrections. 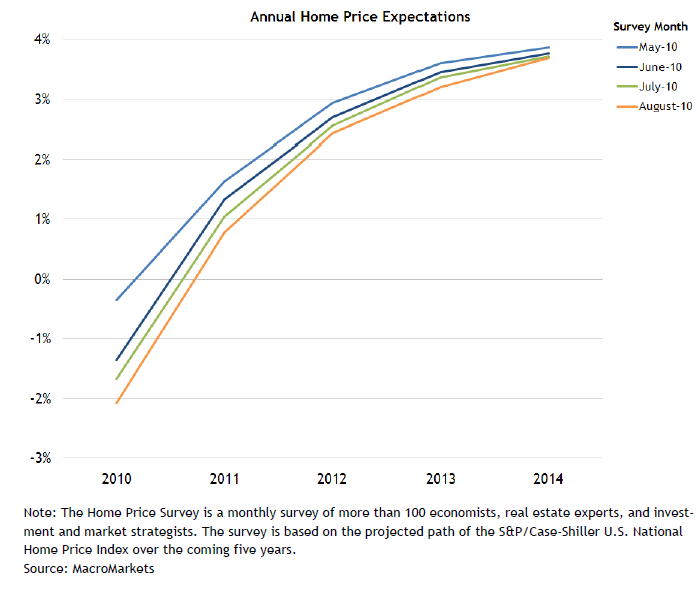 The upcoming decade will prove to be a weak one for home prices yet economists are once again making absurd long-term predictions regarding prices. Just look at how the survey has shifted over each month of data. In the earliest survey in May, most expected no housing price declines for the year. Of course, we now know that homes will most definitely end the year with price declines. For 2011 the economists expect prices to increase and it steadily paces upwards deep into 2014. Why should we even believe a group that could not see the housing bubble coming? We are to believe that this group has an idea of the actual appreciation rate for housing in 2014? You might as well call the psychic hotline and ask her about this. Even over a four-month period, economists couldn’t get this year correct! None of us (short of those who lived through the Great Depression) have seen something like the above. 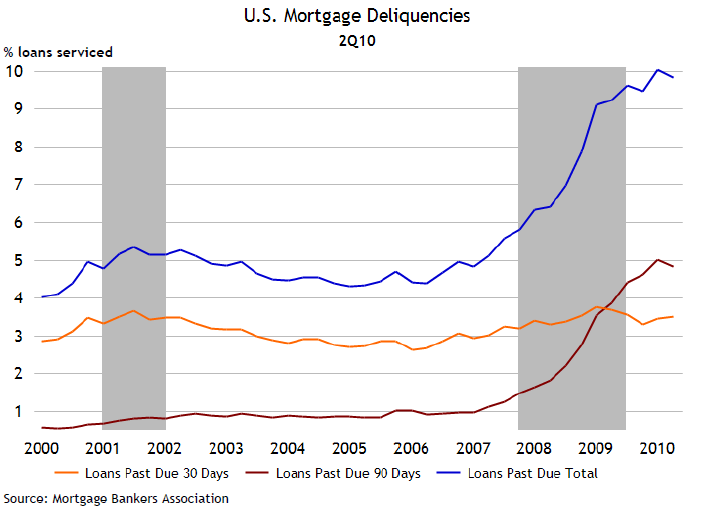 Each past due mortgage is a story of the deep recession. A job that has been downsized, an illness that has eaten up a larger portion of savings, or simply the inability to continue paying on a toxic mortgage are all stories playing out each and every day. The above chart shows that we are still near the peak and with the employment market still weak, why are we to expect any sudden change in the trend? The secret to the recovery isn’t so shocking and once we start adding a sizeable amount of private sector jobs (300,000+ per month) then we can issue predictions of home prices rising. Until then, it is merely parlor game speculation to say home prices will go up in 2014. Places like Nevada have nearly 70 percent of all mortgage holders underwater! Arizona is up to 50 percent and 1 out of 3 mortgage holders in California owes more than their home is worth. In other words, they have a giant incentive to strategically default. 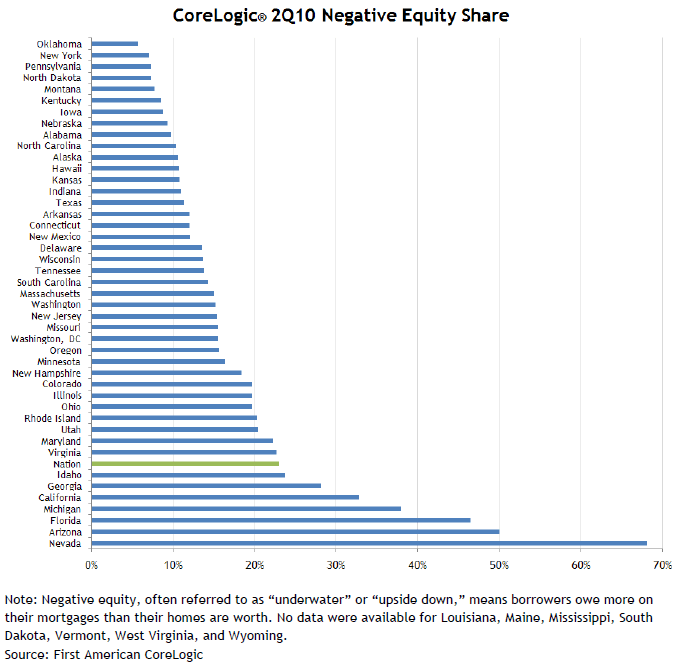 Many in these states have no intention of allocating 70 to 80 percent of their income to some toxic mortgage on a property that is worth half the peak value. The amount of shadow inventory on the bank balance sheet is growing larger and larger by the day. Banks were hoping that by now, three years into the greatest banking bailout and wealth transfer in history, home prices would be back up. Yet that hasn’t happened for average Americans. Homes that hit the market will command lower prices to justify the economic realities faced by Americans. Most of the time people just look at the last sales reference point. It is an incredible fall from $650,000 to $350,000. But look where it came from. Prices are still close to double what they were in 1998 yet incomes over this time remained largely stagnant. If we account for inflation, we are looking at a 35 percent increase yet the current price is much higher. The current sales price is still too high even adjusting for inflation. In other words, prices in many places are still in bubbles. 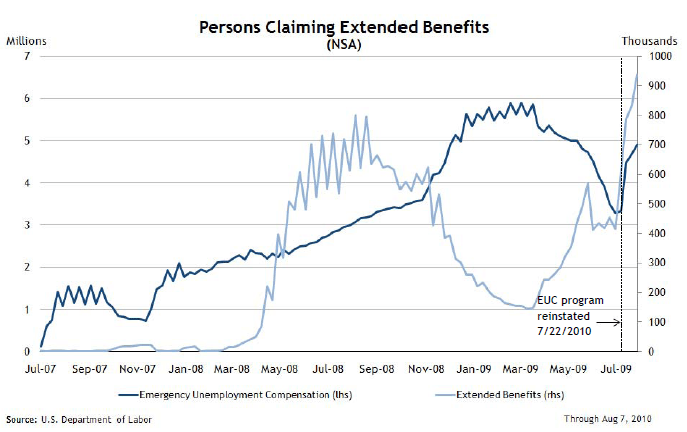 4.9 million Americans are receiving emergency unemployment benefits. These are benefits that are paid out once the normal unemployment coverage expires. All in all you have over 10 million Americans receiving UI. 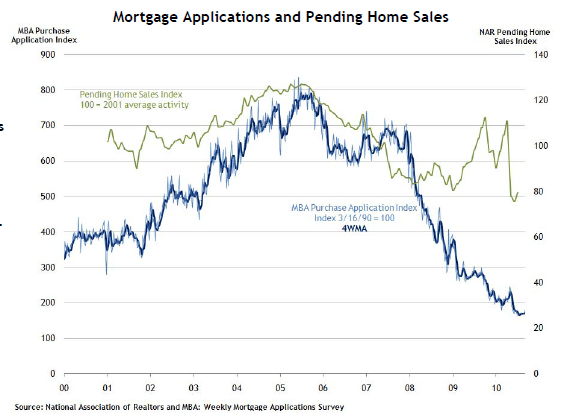 How can one look at the above chart and expect home prices to go up? The median household income of Americans is now under $50,000. Adhering to tried ratios over decades of more stable housing days, it would look like home prices should be hovering around $150,000. The current median home price nationally is approximately $180,000 or 20 percent too high. If we look at niche markets in California you will find some areas that are still over priced by 50 percent based on local income metrics. In other words, expect to read about falling home prices over the next year in the mainstream media.